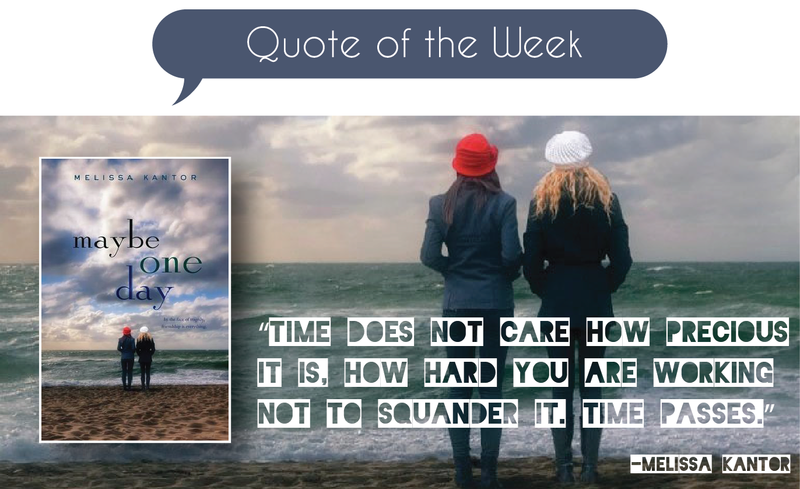 This entry was posted in Quote of the Week and tagged Maybe One Day, Melissa Kantor, Quote. Bookmark the permalink. Beautiful quote. I’ll definitely have to check out this book! Just because of this quote, I now have to go out and buy this book! You always pick such interesting and meaningful quote, I LOVE it! Such a sad quote, but very very true. I’ve been wondering about this book. Lots of people say it’s really good.